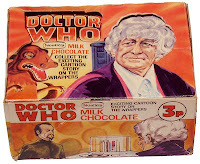 Today it’s picture seven of Doctor Who Fights Masterplan “Q” - the 15-part adventure on the backs of the Nestlé Doctor Who Milk Chocolate bars. Unable to trace The Master, they are unaware of his imminent success in his evil Masterplan Q. 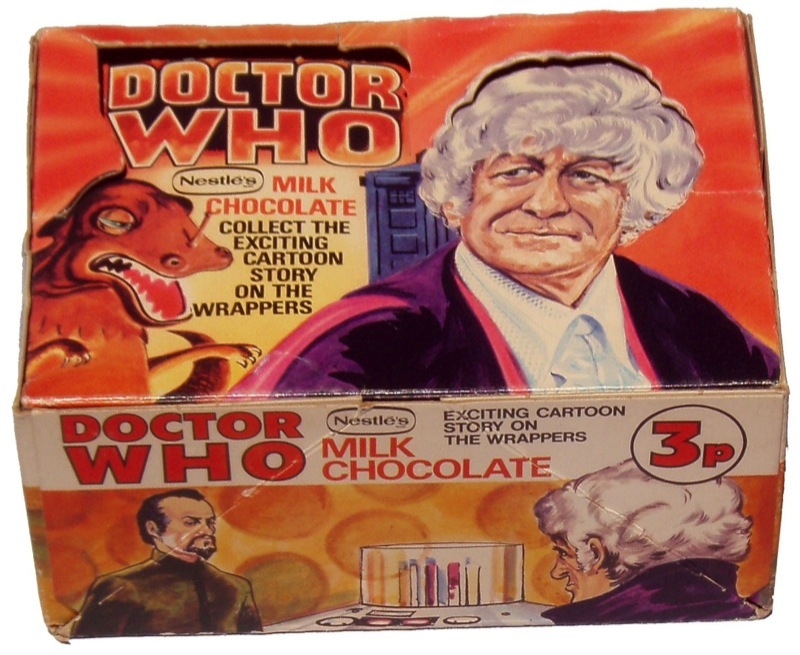 Now, at some point during the run of the chocolate bars, Jon Pertwee apparently complained about the likeness - or lack of likeness - in the illustrations accompanying the bars. 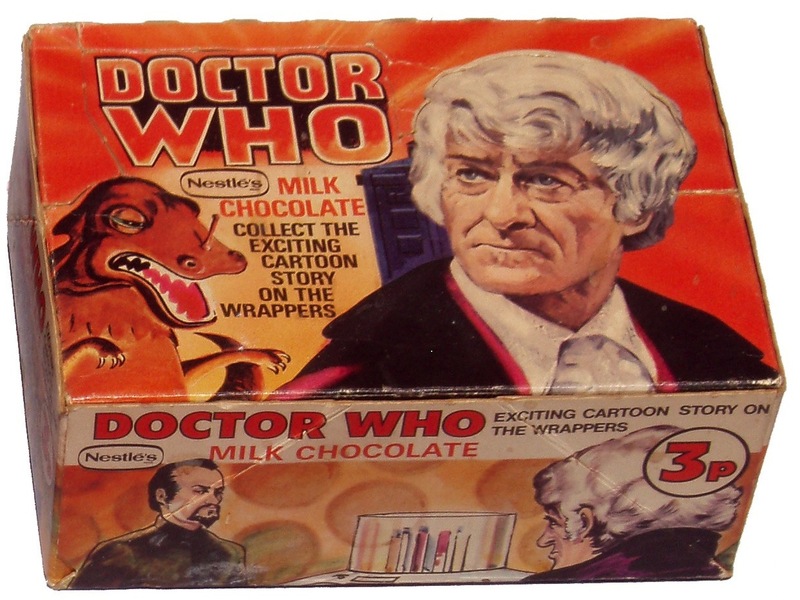 Compare this to the version that appears HERE. As a result the display box was redesigned using a better image of The Doctor.